This site’s an assortment of stories linking travel, mythology, hiking and history. It’s about the tales embedded in landscape – and when the landscapes in question are a little wild and wonderful, all the better. William, you are so kind to follow both of my blogs. Your blog is like no other, and I wish mine were more like it. Your sentences are not just beautifully formed; they are also filled with knowledge and learning and connections to everything I love – the land, literature, history, etc. I look forward to your posts and read them avidly even when I know nothing about the topics! Your erudition and writing finesse intimidate me, so again, I am flattered that you choose to read and view the piddling things I post! Not sure about blogging etiquette, but I mentioned your blog in a recent post and I hope that is OK with you. It was a positive comment and will not require any response from you (unless you care to respond in some way, which is fine, too!). That is very kind, thank you- yes, it is certainly OK. I would indeed be very happy to respond in kind- you have a wonderful variety of places and content on your site- and I coincidentally have an idea for a post that would certainly benefit from including a few names. Expect something in the not-too-distant future! Inspiring! Thank you for the follow – even if I am no writer myself. I do love Scotland…and I do count Seonaid as a friend. I will most certainly follow you back. 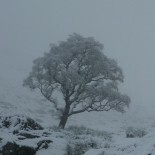 Thanks so much for following Shaking the Tree and introducing me to your blog. Thanks for dropping by my B & W blog and following. I’ve had no internet for the last week so couldn’t acknowledge your ‘follow’ before now. What a strange co-incidence that my favourite part of the world is the Himalayas and the frozen north of Europe. (Alaska is also a favourite place of mine). I only wish I had visited them when young and healthy in the 1970s when I was travelling in the UK and Europe. I have a few CDs on Celtic Music too. This is the 3rd time I’ve encountered a kindred spirit on the internet. I wished I had studied Anthropology or Archeology in the early 1970s (of all subjects too). Perhaps Anthropology more, as I have a keen interest in indigenous medicine and using food/plants as medicine. Alas, in old(er) age (62) and chronic ill health, I have to rely on my DVDs and travel book collection to sustain my travel bug and interest in other cultures. I wish you well on your travels. To me, travel in foreign lands is the ultimate education anyone could have, or possibly wish for. Books are a wonderful way of travelling – and they have the side benefit that they enable you travel to lands that no longer exist, or never did. The world is swiftly becoming more homogeneous, and undiscovered countries exist really only in the imagination. Thank you for the return follow! I haven’t posted to my blog in a long time. Got a little sidetracked. I so loved your post about the last temple. One of the images at the end resembled an image in a dream I had a while back. A stone crone at my bedside drenched in water. I’ve been to the highlands and find them so enticing. I would love to return some day. From Seattle, goodnight.